Everyone at the table polishes their plate with this meal! 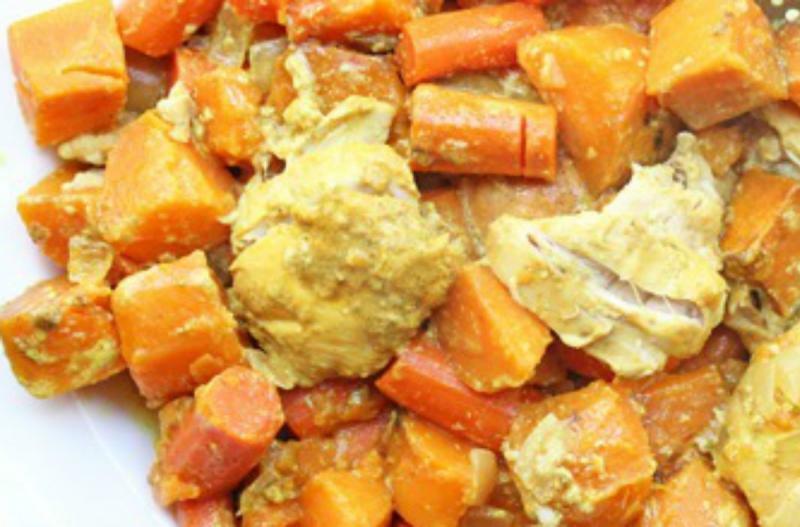 Whisk together the coconut milk, curry powder, ground ginger and salt in the base of the slow cooker. Add the chicken thighs, sweet potatoes, carrots and onion. Set the slow cooker on low and cook for 8 hours. 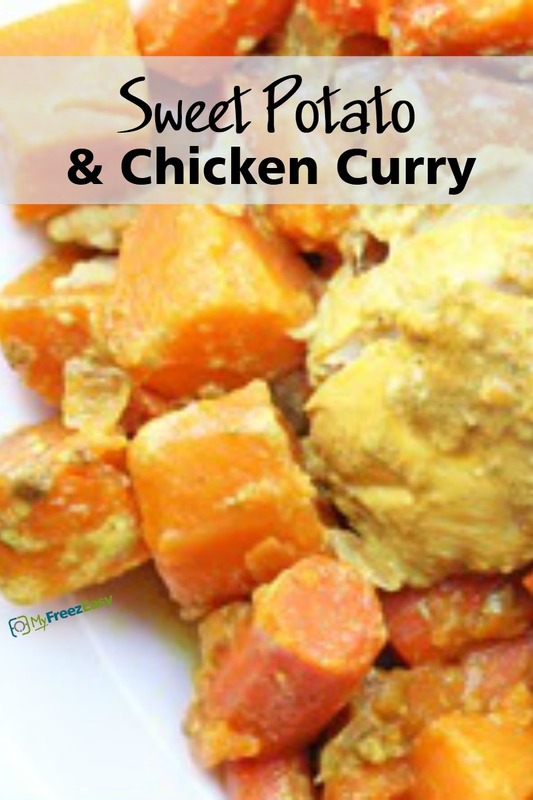 Serve Slow Cooker Sweet Potato and Chicken Curry with veggies. Peel and quarter 8 sweet potatoes. Peel and slice 16 carrots. Open 2 cans of coconut milk.